Make numerical entry faster and more comfortable with a tenkey pad that can be positioned near either hand. 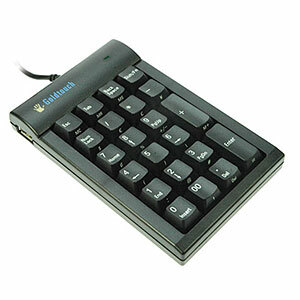 The Goldtouch numerical keypad includes alternate inputs that are commonly used in Microsoft Excel or Microsoft Calculator for fast formula computation. Soft switches have a life expectancy of around 20 million key presses.